Sevier County, TN is unique and special in so many ways. Here are some fun and interesting facts that you might or might not already know about this area. Approximately 12 million people visit Sevier County, Tennessee each year. Approximately 10 million people visit Pigeon Forge each each year. The Great Smoky Mountains National Park is the most visited national park in the country. Around 1802, William Ogle selected a building site for what was to be the first "home" to be built in Gatlinburg. In the early 1900s, Gatlinburg was still a remote mountain village located in an even more remote Appalachian region where public schools did not exist. In 1910, the alumni of the Pi Beta Phi Fraternity, voted to commemorate their 50th anniversary and honor the founders by providing education to a community where no formal schooling had been available. 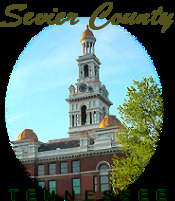 Sevier County as it is known today was formed on September 18, 1794 from part of neighboring Jefferson County, and has retained its original boundaries ever since. Sevier county takes its name from John Sevier, governor of the failed state of Franklin and first governor of Tennessee. Pigeon Forge is a busy town, but it has only about 6,200 permanent residents. Visitors can boost the daily population to more than 50,000. In 1986, Dolly Parton opened Dollywood. Dollywood, which is in Pigeon Forge, is Tennessee’s most visited ticketed tourist attraction. Biologists estimate 1,600 bears live in the Great Smoky Mountain Park. As of 2000, the share of housing units in Gatlinburg that were owner-occupied was 70%. There are over 13,000 residents in Sevierville and over 71,000 in Sevier County. Sevierville is the eighth oldest town in Tennessee. Sevierville was founded in 1795.